Rás na mBan is the premier women’s cycling event and only International women's stage race in Ireland. Returning to Kilkenny for the third year in a row, this grueling event runs for five days with a total of six stages and a total of over 400km of racing action. 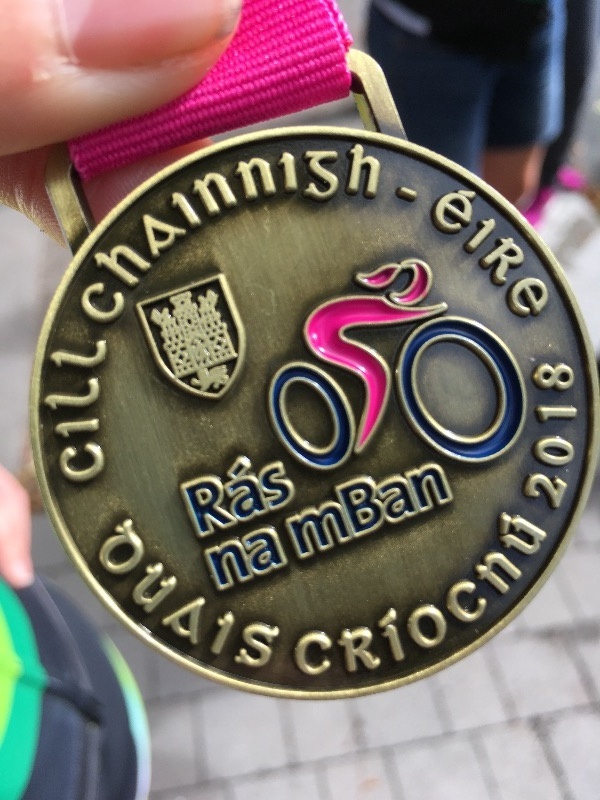 Rás na mBan is unique in that it sees local club and national level women riders from Ireland compete with riders from the rest of Europe and beyond. In 2017 there were 117 riders from 25 teams racing. Monica will be riding her second Rás na mBan and has unfinished business after a crash caused by a spectator in last year's final stage. 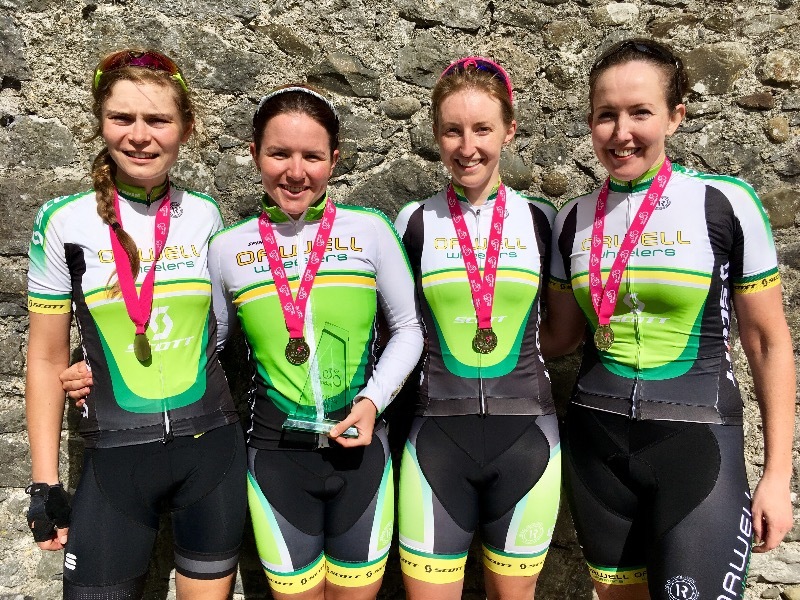 Breda and Ciara are Rás na mBan Rookies but no strangers to the Irish Women's racing scene. Guest rider Sinead Molloy races with Tullamore CC and has been racing well since the start of the season. Our last guest rider is Lauren Creamer who currently rides with Brotherton Cycles in the UK and is no stranger to high level racing. Lauren has competed professionally and raced for Ireland over the past number of years. Behind the scenes the rider will be supported by a hugely experienced management team. Orla Hendron and Gillian McDarby have both riden Rás na mBan and competed Internationally. Sebastian has become the regular mechanic for the women's team this year and is getting to know their bikes very well! 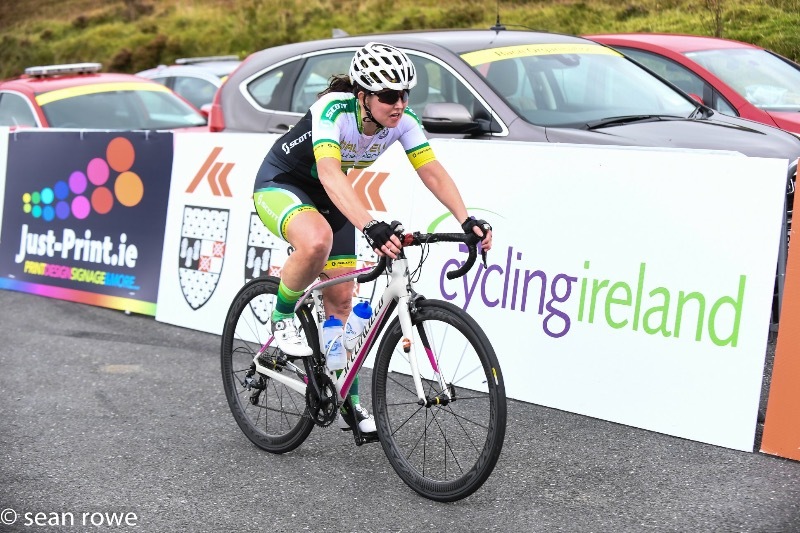 Finally one other Scott Orwell Wheeler will be racing Rás na mBan this year but not in club colours - Áine Donegan has been selected to ride on the Irish Team. We wish the riders and support team the best of luck for the race and look forward to hearing how you get on. Rás na mBan starts this Wednesday in Kilkenny. As we did with the Rás Tailteann team we have asked the riders to answer a few questions so we can get to know them a bit better in the days leading up to the race. Tonight we start with team rookie Breda Horan and would be second time rider Monica Freiband. 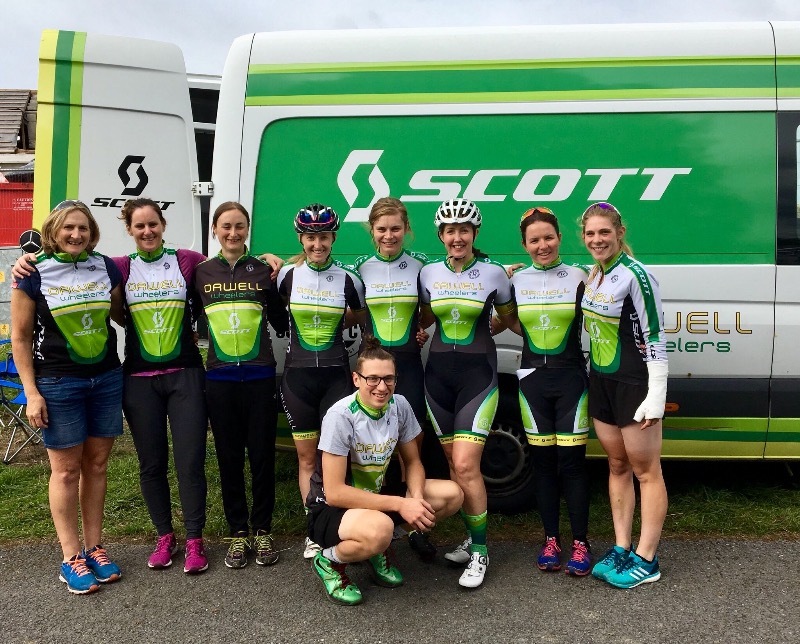 The last of our Rás na mBan profiles have been added and we now have a full compliment of racers as well as Team Manager Orla Hendron and Team Soigneur Gillian McDarby on the article. On behalf of the club and the committee we would like to wish the team the best of luck this week. Ride safe, ride fast and ride smart! We can't forget to wish good luck to Áine Donegan who is racing in the Irish Team colours this week. 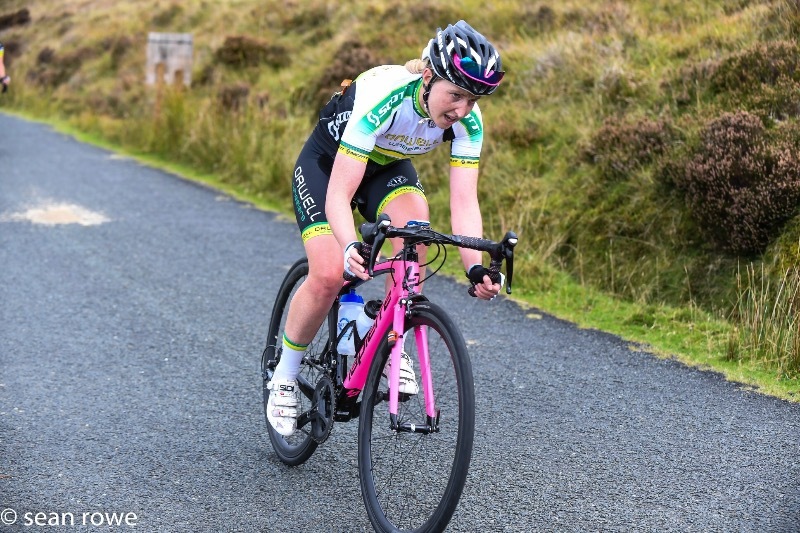 It's great to hear that Áine will line up on the start tomorrow as she had a crash in the closing stages of the Laragh Classic on Saturday. Give it sock Áine! Last edit: 7 months 2 weeks ago by Louise Keane. Stage 1: Wednesday 5th September: The First One! The race kicked off today with a 70.1km road race beginning at event headquarters, the Springhill Court Hotel, and finishing for the second time in the picturesque village of Gowran on a mainly flat course including a single hill offering points for the IVCA Wicklow 200 Queen of the Mountains classification. Thursday 6th September: Stage 2 - aka "the wet one!" Thursday’s second stage was a rolling 75km road race starting and finishing in the pretty village of Castlecomer. Running on roads which were familiar to riders in the Deenside Cup and Des Hanlon classic races. A tough day on the bikes made even harder by the weather which turned wet and cold today. 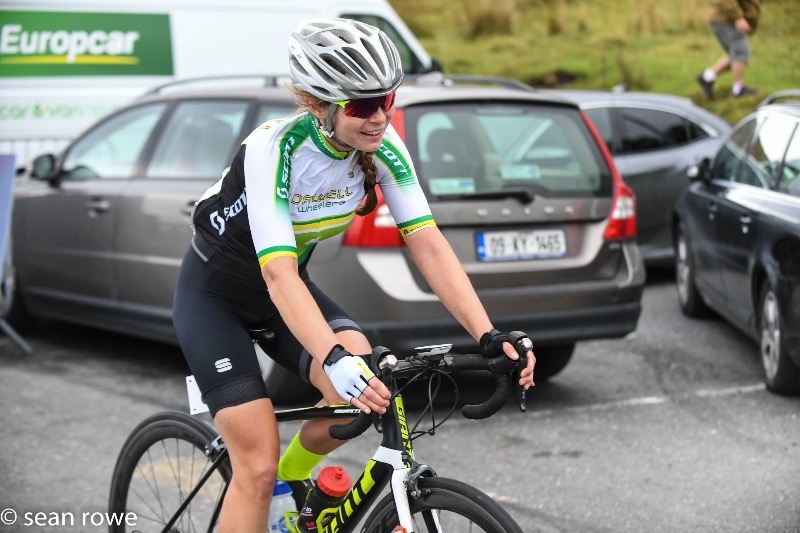 Hard luck to Sinéad Oakes who was up with the lead bunch for most of today and was unfortunate to be caught up in a crash with 10km to go and was unable to finish. Scott Orwell Wheelers Doctor Lucy is the event doctor and was on hand to patch Isobel up but she needed stitched to her elbow and had to DNF. Get well soon Isobel. DNF. Isobel Oakes, Scott Orwell Wheelers. 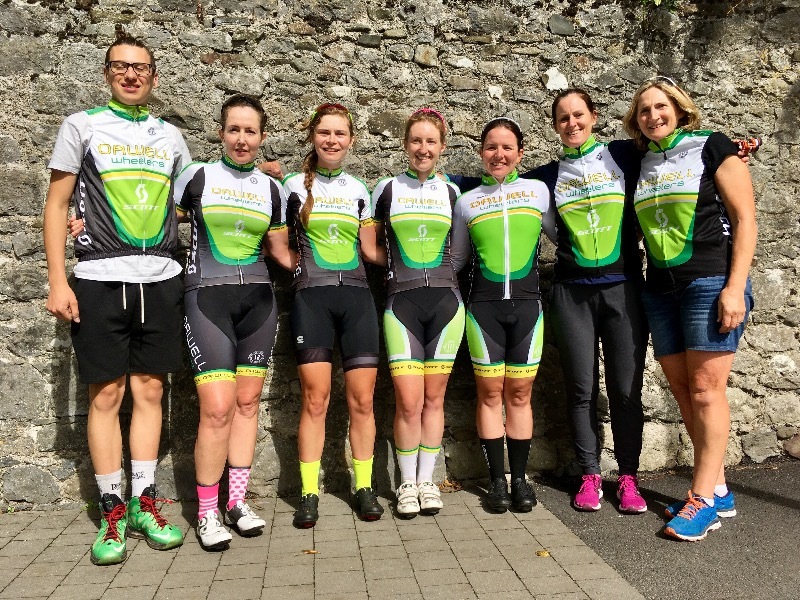 Our 2 Rás Rookies - Ciara & Breda (Creda) are keeping a Rás Diary. Day 1 is a bit of a blur but day 2 is a classic! sounds very tough. good luck to the team today and over the weekend. very tour de france on the warm up warm down? bikes. makes sunday mountains seem a bit of a doddle! Friday 7th Sept, Stage 3: The Hilly One!! Friday’s third stage was a repeat of last year’s epic assault on Mount Leinster when wind, rain and the hilly roads served to create big gaps between the riders on general classification. As last year, the so-called ‘Queen Stage’ was a daunting 112km slog that culminated in the arduous climb of Mount Leinster to the fabled ‘Nine Stones’. Last edit: 7 months 1 week ago by Louise Keane. Saturday 8th Sept, Stage 4: The Short One! Saturday began with a newly minted 6.5km individual time trial stage on a hilly road just in Tullaroan. Breda Horan set a blistering time to start with and sat in the top 10 for much of the morning until the International TT specialists took to the road. 2. Nicola Juniper @junipernikki, Ladies Tc +4"
3. Rikke Lønne, Maaslandster Intl +27"
Saturday 8th of September: Stage 5 - Around and Around in Circles! Tonight was the Criterium Stage of Rás na mBan in the beautiful city of Kilkenny. A lap of approx 3km with fast corners and wet roads saw some very exciting and fast racing! Scott Orwell Wheeler's Lauren Creamer was in her element and rode strongly in the front group all night finishing in 6th place overall. Sunday 9th September, Stage 6: The Last One! What a stage to end on! The race concluded today with a tough 88km on rolling roads beginning and ending in Kilkenny after five tough days of racing. Everyone was tired but looking forward to getting the final stage underway this morning as they warmed up or got a final injection of caffeine! The big challenge on the final day came when the riders leave the beautiful village of Inistíoge to take on Woodstock Hill. A small group containing Lauren Creamer had made a 50second gap on the approach and sped up the hill to the cheers of the waiting crowds. Lauren said after that she loved this type of hill as they reminded her of the hills of Flanders. Chasing hard behind was a large group containing most of the peloton including our own Breda Horan who was looking strong. Breda was well in touch with the group going over the hill but unfortunately got distanced on the descent when she was squeezed into the wall of a narrow bridge and had to stop. Even though it was only a short stop the pace of the group over the last 30km meant Breda wasn't able to get back on. Ciara and Sinead battled it out to the end and it's rumoured they may have been smiling as they rounded the last corner and caught sight of the finish line. The pace up the front was frantic for the last 30km with Team Ireland desperately trying to launch one of their riders up the road. Our own Áine Donegan, who was riding with Team Ireland this week, made a bid for glory with about 10km to go but was reeled back in. In the end about 50 riders came flying into Kilkenny City Center to compete in the sprint with Lauren right up there with them! Lauren had had a great day - hoping off the front regularly and doing the lions share of the work at the front - she was rewarded with 20th place on the stage and also the Combativity Award. There was another great turn out from Scott Orwell Wheelers to support the racers. Michael Handley, Una & Caoimhe May, the entire Reilly family, Yvonne Doran, Monica Frieband, James O'Reilly and Grainne Coghlan were just some of the faces spotted along the way. Thanks to everyone who came down to shout and wave - in talking to the riders afterwards they said they heard all the shouts and they really appreciated the support. 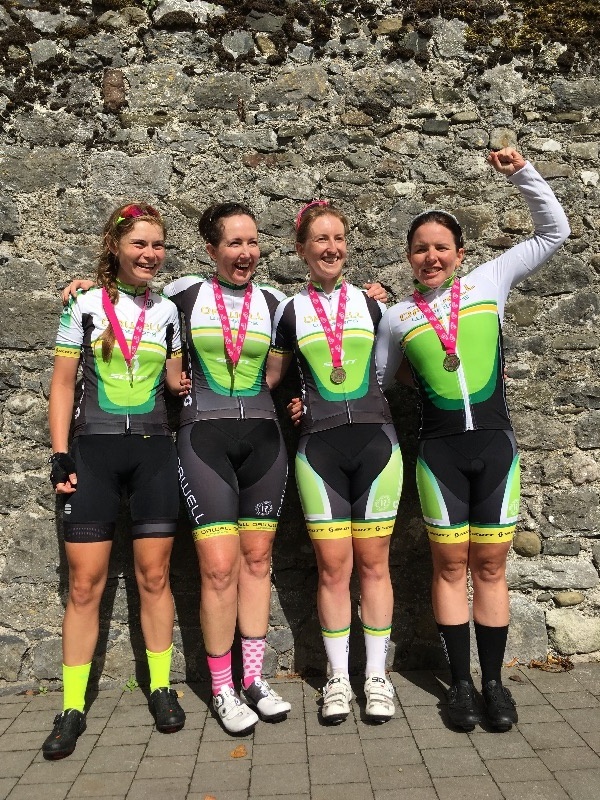 Breda and Ciara have caught up on their Rás na mBan diaries and have added stages 4, 5 and 6 to their article. It is an Epic read for an Epic race! After a damp day in the hills why not settle onto the sofa with a cuppa tea at 4.30 today and watch coverage of Ràs na mBan on Eurosport!! Guaranteed to be epic, and our own voice of Eurosport, club member Declan Quigley will be commentating.